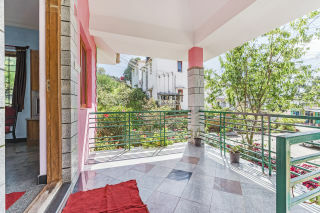 Located on a quiet street of town, this is an offering of a three-bedroom cottage which can accommodate up to nine people. 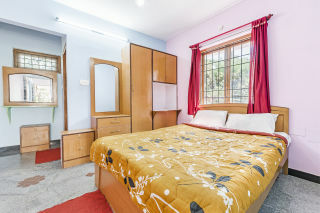 The property is just 4.6 km away from Kodaikanal Lake, and the room on offer is ideal for a backpacking group. 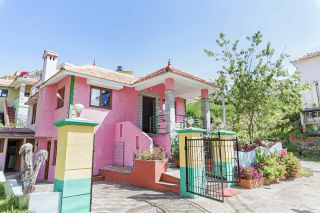 Your Space Designed with vibrant exteriors, this cottage is furnished to provide modern comfort. A two-seat dinette is placed in the dining room for mealtime convenience. 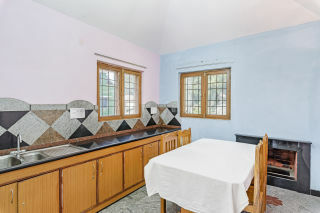 A functional kitchen is provided to facilitate basic cooking. The living room houses a comfy sofa set, a coffee table, and a television for you to unwind after a long day. 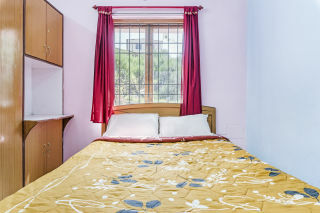 The bedrooms are each furnished with a plush double bed with side tables, a spacious wardrobe, and a dresser. The en suite washroom is tiled and well appointed with western sanitary ware. Places to visit: Berijam Lake - 23.2 km. Shenbaganur Museum - 6.7 km. The Boat Club - 3.3 km. 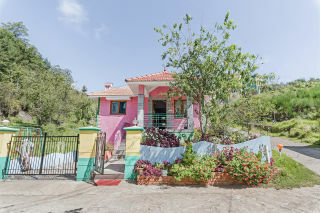 Kodaikanal Lake - 4.6 km. Coaker's Walk - 3.9 km. Guna Cave (Devil's Kitchen) - 10.1 km. Kurinji Andavar Temple - 2.8 km. We were a group of 9 members including 5 guys and 4 girls. We stayed there for two nights. Stay was good. Lake, Croaker's walk are all nearby this place. It will take hardly 10 minutes to reach these places from here. I feel that the facilities were quite less for the money we pay. Geysers were not available in the rooms that were given to us. They provided hot water in the morning only. That was quite difficult because the water was really very cold and we obviously need hot water at night as well. Hand Showers were not available in the toilets. Rooms were good. Ambience was also good. We enjoyed as a group. No disturbances were there. There was space for parking. I feel the place will become perfect if they try to attach geysers and hand showers in the bath rooms. Overall it was a decent stay. We had very good time. Kodaikanal Road Railway Station - 81.8 km. Madurai International Airport - 137 km. 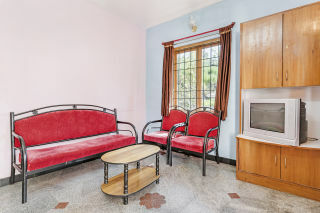 Kodaikanal Bus Stand - 3.9 km.